If you are a gardener, you should consider fall leaves as nature’s gift to you for the upcoming holiday season. Leaves are a precious free resource that mother earth gives us every fall. Not only we can use them to improve our garden soil, but we can also learn a lot from simply watching the natural process of leaves falling onto the ground. If you ever walked in the forest, you felt the softness of the ground under your feet. You probably noticed how black the soil was. If you dug and held a bit of soil in your hands you probably saw how full of life it was. This is all because of leaves. As they fall on the ground, they create a layer of mulch that helps retain moisture and slowly, over a long period of time, decompose and feed the soil. Making leaf mold or leaf compost, or using leaves as mulch are the main three ways we, as gardeners, can put dry, fall leaves into good use. Mulch is a layer of material (can be black plastic, straw, wood chips, grass clippings, or, in this, case dry leaves) that is spread over the soil around garden plants, trees, or container plants. Weed control – by covering the ground, you limit the amount of light that reaches the soil, making it harder for weed seeds to germinate and grow. Invite earthworms – by using organic mulch, like leaves, you encourage earthworms to come live in your garden. They enjoy the moist environment and in return improve the soil structure and increase the level of nutrients available for plants (by pooping). Keeps garden soil moist – not only does mulch limit evaporation it also absorbs water that can be available for plants when weather conditions are dry. Prevents soil erosion – mulch helps keep your garden soil in place, especially during strong rains. Feeds the soil – mulching with organic materials like leaves is pretty much like making compost on the spot. The organic matter slowly breaks down and releases nutrients into the soil. In addition, since mulch prevents soil erosion, the nutrients stick around and don’t wash away. Controls soil temperature – mulch acts as an insulating layer that helps keep the temperature of the soil cooler in summer and warmer in winter. Increasing soil acidity – there is one main disadvantage to using leaves as mulch and that is that some leaves are acidic. It’s a good idea to test your garden soil in the spring and add lime if soil acidity is too high for the plants you are growing. 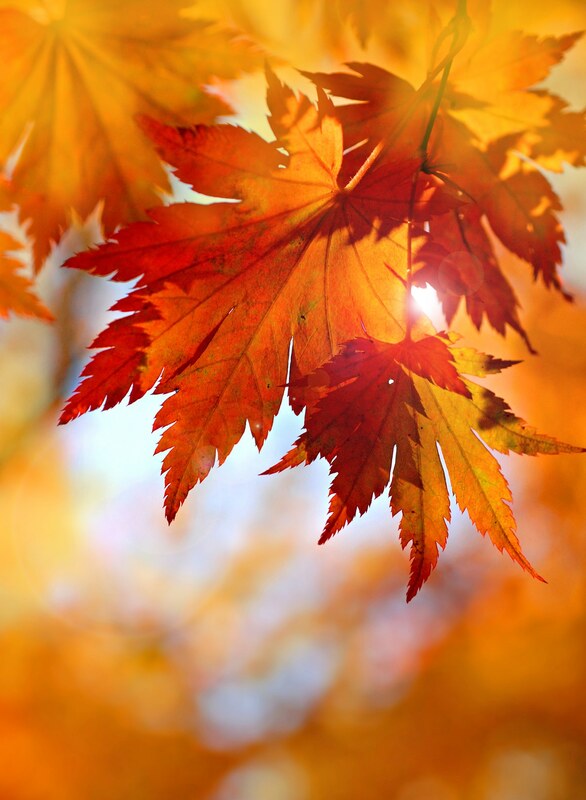 Collecting – try to collect leaves as soon as they fall. At this stage, they contain a higher level of nitrogen and are less resistant to break down. Shredding – it is recommended that you shred the leaves before using them. Not only they will break down much faster and release important nutrients into the soil. Non-shredded leaves tend to stick together and create a layer that prevents water from reaching the soil underneath. Shredding can be done by using a leaf shredder or a lawnmower. If using a lawnmower, pile the leaves and run over them. You will probably need to do this more than once, so it will help to have another person around to pile the leaves for you. Spreading – spread shredded leaves around any plants you have (vegetables, flowers, herbs, trees, shrubs, even container plants). Don’t be afraid to pile it up, 7-8 inches of mulch is great. In areas with very cold winters, piling a foot of shredded leaves around your plants will help them survive the winter and have an easier start when spring arrives. Leaves will compress and layer during the season so make sure to add more shredded leaves when necessary. Leaf mold is a form of compost made of leaves alone. As opposed to regular compost, the breakdown process is done by fungus instead of bacteria. This is because leaves are basically all carbon, they contain almost no nitrogen. What are the Benefits of Leaf Mold? Leaf mold is considered to be a soil conditioner. It does not supply the plants with nutrients like compost does, rather, it improves soil structure. Water retention – mixed into your garden soil, leaf mold will increase water retention in your garden soil making it easily available for plants. Leaf mold absorbs five times its body weight in water. Improves soil structure – leaf mold will help break down and soften heavy soils like clay, for example. 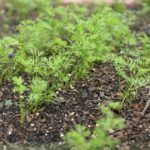 Improves soil life – mixed into your garden soil, leaf mold will invite earthworms and beneficial bacteria to your garden by providing them a comfortable habitat. 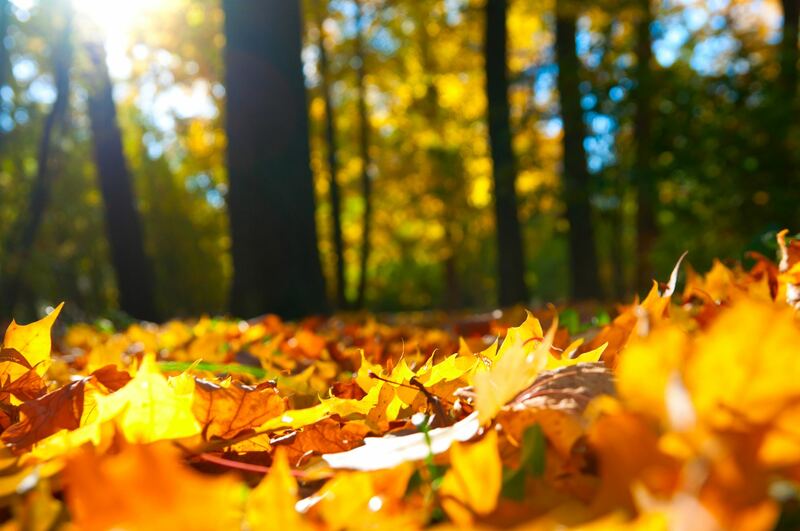 Leaves that are left on the ground after falling will eventually turn into leaf mold. This is what we see happens in the forest. However, this process takes years and most of us wouldn’t want to wait that long. 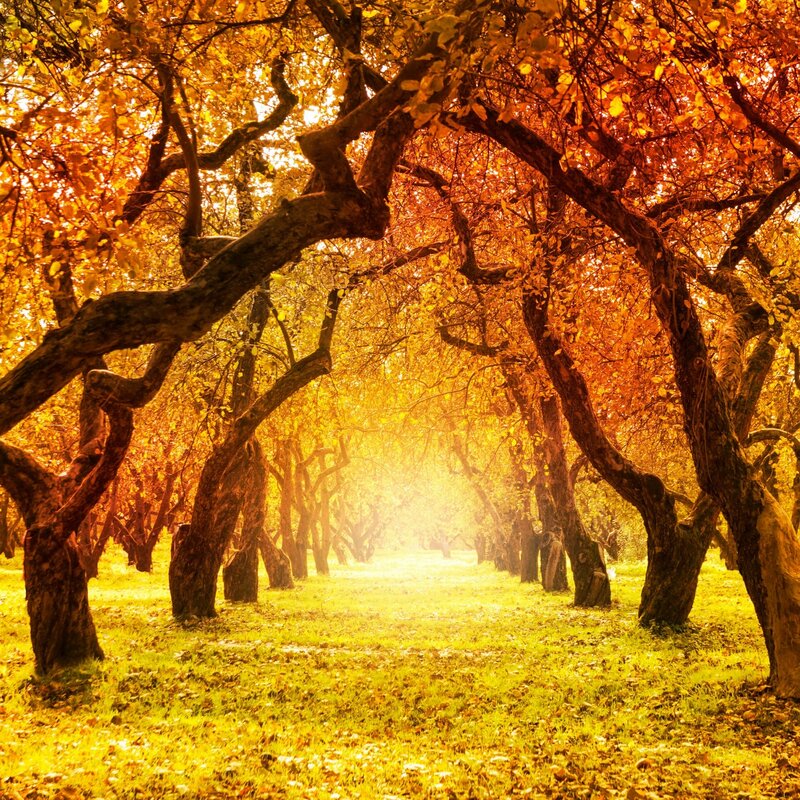 Collecting – collect the leaves as they fall. Shredding – again, it is recommended that you shred the leaves with a shredder or a lawn mower before using them. Non-shredded leaves will take about three years to mold, shredded leaves will make a fine mold in about a year and sometimes less. Wire Leaf Bin. Click the photo for source. Add to bin – you can purchase a wire bin like the one in the picture to the right for around $40 or make a wire bin yourself in 10 minutes if you have some chicken wire lying around. The bin should be at least 3 feet wide and tall. Before adding the shredded leaves, wet the ground they are going to be placed on. Then add the leaves and water the pile. Caring – the most important thing is to make sure to keep the pile moist, don’t let it dry out. To help keep it moist and warm, consider covering it with a plastic tarp. Mix the pile every few weeks to speed up the decomposition. Note – you can also make leaf mold in plastic bags. Use a large garbage bag, add the leaves, water them, close the bag and make a few holes on the sides for air. Check the bag every month for moisture and add water if the leaves are dry. The finished product is a rich, dark (almost black) soil-like material. You can till it into your garden soil before planting or use it as you would use mulch by spreading it over the soil. You can do that before planting instead of spreading it around each plant, which can take a long time. Then, you simply plant your seeds in the leaf mold. Don’t hesitate to add it around plants that grow in containers. Lastly, you don’t have to wait for the perfect end product. If for some reason, it takes too long, or you need the bin to compost something else, you can always use the leaves as mulch. The molding process continue the garden. Compost is decayed organic material. In a well-made compost heap, beneficial bacteria can live and reproduce. As a result of this microorganism activity, the organic waste material is converted into rich humus. We then add this nutrient-rich compost to our garden soil where it feeds the plants. A good compost heap is made by balancing brown, dry organic material (carbon) with moist, green organic material (nitrogen). Dry leaves are pretty much all carbon, so when making leaf compost we use dry leaves for the brown organic material. What are the Benefits of Leaf Compost? Contains essential nutrients – this is the main difference between leaf mold and leaf compost. Compost contains a much larger amount of nutrients that are essential for plant growth. In other words, compost is plant food. 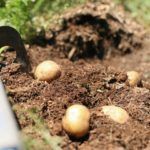 Controls plant diseases – garden soil that is mixed with compost tends to produce healthier plants with fewer pest issues. Pests usually attack weak plants. Adding compost to your garden soil will ensure the growth of vigorous plants. Collecting – collect leaves as they fall. Shredding – for compost, it is essential that you shred your leaves. If you add unshredded leaves to the compost pile they are most likely going to stick to each other and take three times longer to complete the composting process than the rest of the pile. Shred the leaves as fine as you can to ensure they keep up with the rest of the pile. 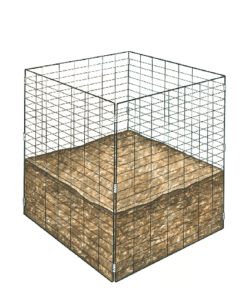 Add to a bin – You can use a wire bin like in the picture above or one made from wood. You can also use one of those plastic tumblers they sell in the store or online, but I don’t recommend it. It’s usually too small, hard to turn once it’s full, and there is simply not enough air coming through the small holes. Many times I see the mixture becoming a smelly juice instead of a fine compost. 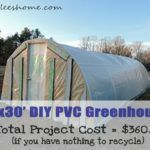 Build an affordable bin from chicken wire or free wood pallets (you can find many of those on Craigslist), or simply choose a spot out of the way on your property and pile your organic material on the ground. When making leaf compost you have to pay close attention to the carbon (leaves) to nitrogen (kitchen scraps, manure, or other green material) ratio. Maintaining the right balance will give you a more nutritious product much faster. Generally, try to maintain five parts leaves to two parts kitchen scraps or grass clippings. Or five parts leaves to one part manure. If your heap starts to smell, you have too much nitrogen. Add more leaves. Once you fill the bin, don’t keep adding to it. If you have more material, start a new pile. Caring – mix the heap with a garden fork once a month or so. Turning and mixing the pile will help distribute the moisture and air in it. This way you make sure your pile gets enough oxygen and the decomposing process is more uniform. You want to keep your pile warm and moist but not soggy. In the winter, you can cover the heap with a plastic tarp to keep it warm. Just make sure it can still ‘breath’ and water it if it gets too dry. The end product will look like black soil. It’s extremely rich in nutrients and you want to keep it this way. If you are not going to use your compost right away, make sure you cover it. If you leave it uncovered, any rain that comes down on it will wash the nutrients away and feed the ground under your pile. I assume this is not where you need it. You can use it to make seed starting soil if you start seeds indoors. You can add it around plants as they grow in the garden or in containers. 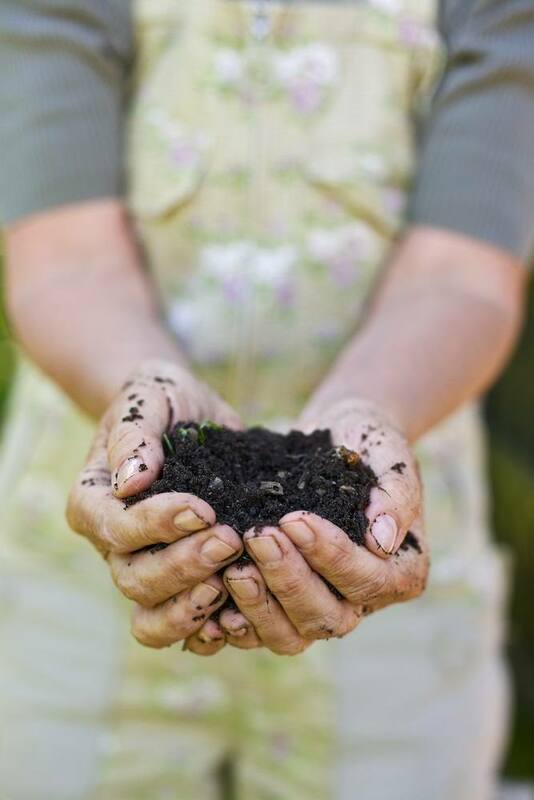 You can till compost into your garden soil in spring or fall before planting. Make sure to till it into the top six inches of your garden soil. Don’t send it too deep into the ground. Or you can just spread it over the soil. I’ve been experimenting with no-till gardening for a while now and it works wonderfully. Instead of disturbing the soil, I spread compost on the top of my garden soil before planting and then plant right into the compost. The rain or your watering, and the earthworms in your garden will make sure the nutrients leach into the soil and are available for the plants. As far as I know, there is no such thing as adding too much compost. If you have it, use it. Your plants will love it. You don’t have to choose between leaf mold, leaf mulch, and leaf compost! Make all three and use them together. Till leaf mold, spread leaf compost, and cover with leaf mulch. Just make sure to remember that some leaves are acidic (pine needles, maple and oak leaves for example), so test your soil and add lime if needed. I have been thinking about the no-till gardening too. Can no-till be planted the first year or does the soil need to have compost, leaves and etc for a year or two before planting? How did you do yours? There are few ways to go about this. Are you starting a new garden? What’s in the space now? Weeds, grass? Or do you want to convert an existing garden to a no-till? I would like to convert my existing garden to no-till. That’s easy then. You have to make sure to arete the soil with a garden fork or broad fork. Just stick the fork into the soil and move it back and forth to make holes in the ground. Then, add compost, rake it to make a smooth layer and plant right into it. It’s best to mulch around your plants after they germinate but not a must. Once the season is over, if you don’t plant a winter garden, either mulch or cover the soil with a black plastic to keep the weeds from spreading. Once spring arrives, arete, compost, and plant again. Here is a good video showing how to use the broad fork. https://www.youtube.com/watch?v=CkM2smJp1oY I don’t have one of those so I do this with a regular garden fork. This is great. We use our lawnmower to shred the leaves. The earthworms love it, which of course improves the soil even more. A great reminder that we don’t need to buy mulch for weed control, even in our flower gardens. working on a post about hibernating (Brumating) and of course Leaves are a VERY important part of Box Turtles lives! You are welcome to link. No problem. Quote-The trees show us how lovely it is to let things go. Hi, In reading the comments about no till gardens, can I do the garden fork aeration and leave the weeds in place and just smother them with the leaf mold? Or, do I need to pull the weeds up before doing the no-till process? The fork is great! I would pull the weeds, you can leave them in the garden, they are good addition as they decompose. But turn them so the roots point up. Then cover them with the mulch. I have been growing in shredded leaves in raised beds for 5 years. I have rock hard clay soil but could get lots of leaves. I saw growing in leaves by Mark from I am Organic you tube and tried it. I have a large shredder that can mark leave mold quickly so it seamed the way to go. The fist year everything did great!! every year there after it has got better. I now have over 780 sq. ft. of 32 inch high raised beds that I cover 8-10 inches deep in the fall with shredded leaves then cover with manure from our own cows and chickens. in the spring I turn it over and plant. This is the first article that I have seen that is right on with leaves!! I can’t tell you how well it works. My wife and I raise grass fed beef and chickens and at least 75% of our own food and could not do it with out leaves. PS very very little weeding!! Wow amazing! I know exactly what you are talking about, I do the same exact thing. Leaves and manure from my neighbor cows. No need for additional soil or even any kind of fertilizer. And I love that I can do all this in the fall or during the winter, it takes some of the spring load off. and, of course, I love that it’s free! Right from nature.Lately I’ve also started pilling the old bedding from my goat house on the vegetable beds. I hope that will do good too. Thanks for taking the time to share this with me!